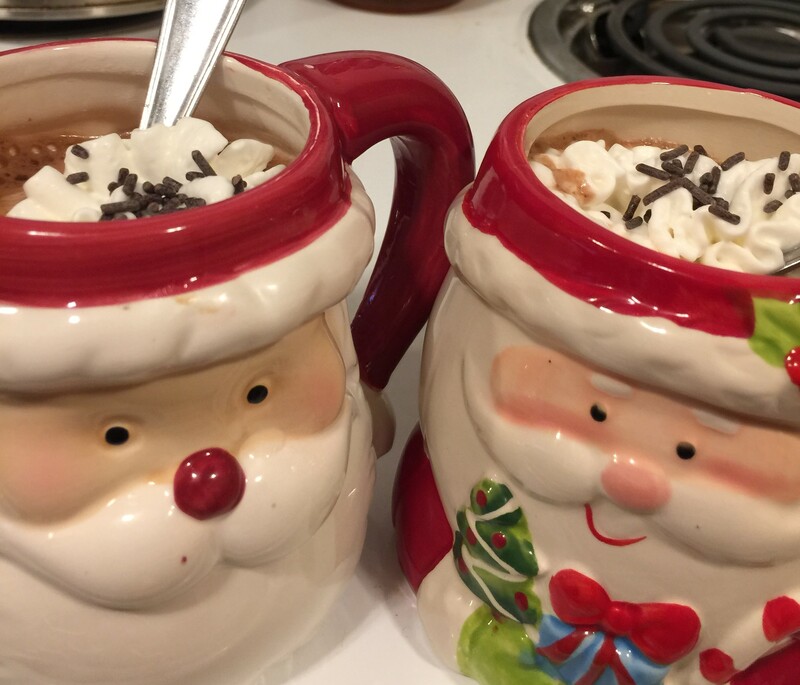 I’ve heard of people making a tradition out of drinking hot chocolate from adorable little Santa mugs for Christmas Eve. I loved the idea, I bought two mugs and did my very best to save them for the night before Christmas. Ha. I lasted about 10 minutes. I’m afraid that the official word on the new tradition at our house will be– to drink hot chocolate and herb tea and Postum and anything else you can think of out of these happy little mugs every chance you get for as long as possible. Besides, they are too awesome to use once and then be done with them for a year. So, if you’re looking for me, I’ll be the one with the cocoa mustache drinking shamelessly from the Kringle mug on December 17. Try to be brave. What a fun idea! 😀 I need to establish some simple and cute traditions like that with my own little family. Previous PostPrevious A Real Dang Tree!